A short drive from Singapore mainland, Sentosa island is the go-to destination for a a short getaway and some fun adventure just across the sea. 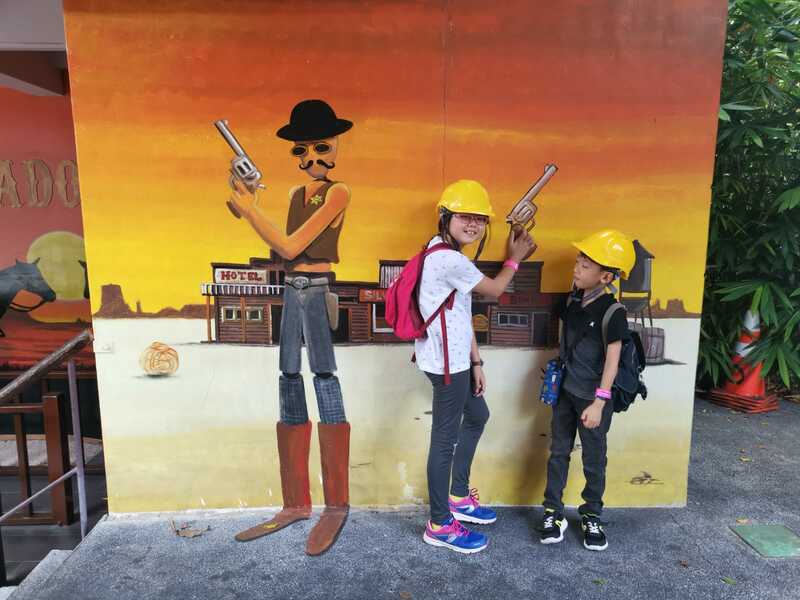 For family with young kids, add Sentosa 4D Adventureland to your list of fun places to visit in Sentosa if you haven’t been there before. 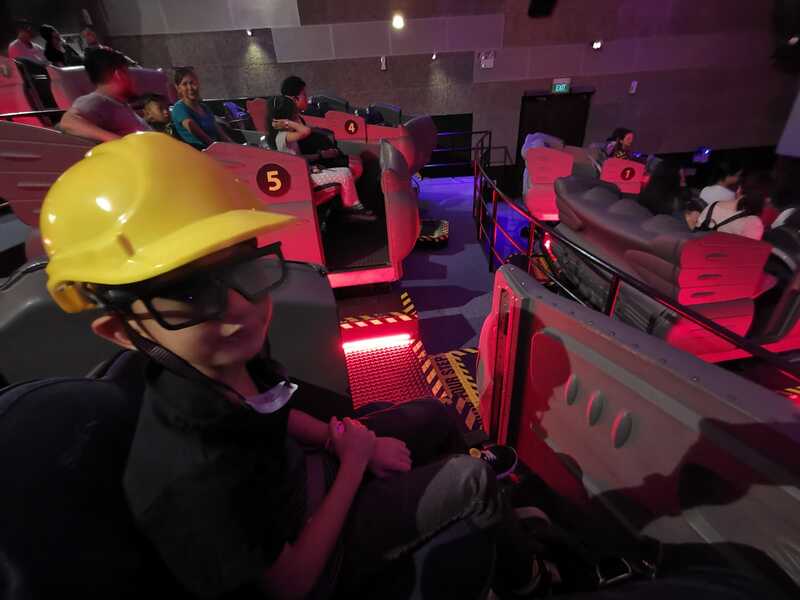 With a 4-in-1 combo ticket, you get access to all four 4D rides – Journey 2 4D movie featuring The Rock; Extreme Log Ride 4D roller coaster; Desperados 4D cowboy shooting game; and their newest addition, Haunted Mine 4D ride. Prices start from $29.90 for a child ticket, $39.90 each for adults and $49.90 each for seniors. The 4D theme park is located at 51B Imbiah Road. You can get there via the Sentosa Express tram, boarding at Vivocity and alighting at Imbiah Station; by cable car or the Sentosa Bus 1 or Bus 2, alighting at Imbiah Lookout. 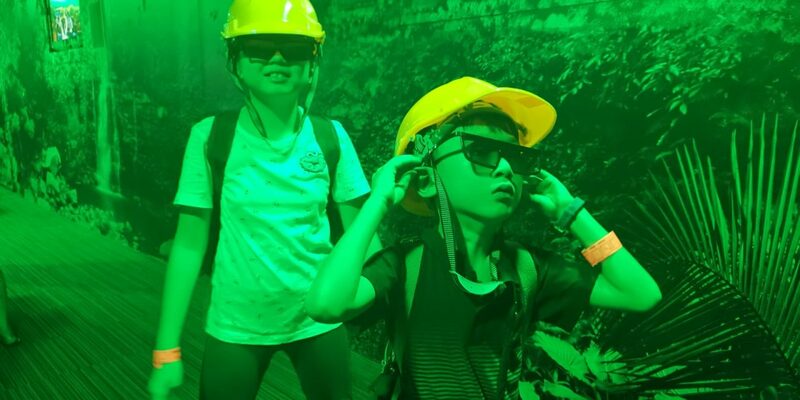 To be honest, 4D rides are usually complementary attractions at larger theme parks or tourist destinations so it’s kind of rare to have a standalone attraction which offers just 4D rides. As such, the Sentosa 4D Adventureland is unique in this way and it is really more worth it to purchase the combo ticket when you visit rather than the standalone ride ticket. Related Post: Who is Professor Huang Jing (黄靖)? The rides are scheduled throughout the day in such a way that you will be able to take one ride after another seamlessly with limited waiting time in-between. With the combo tickets, you will be able to enjoy at least half a day at the attraction going through all four rides. Asher and I tried all four rides with his friend, Sherise and both kids enjoyed themselves very much. Asher usually avoid roller coasters and ghost-themed rides, but he was okay with the 4D rides as they were less intimidating to him as he knows they are virtual rides (and hence, ‘not real’). 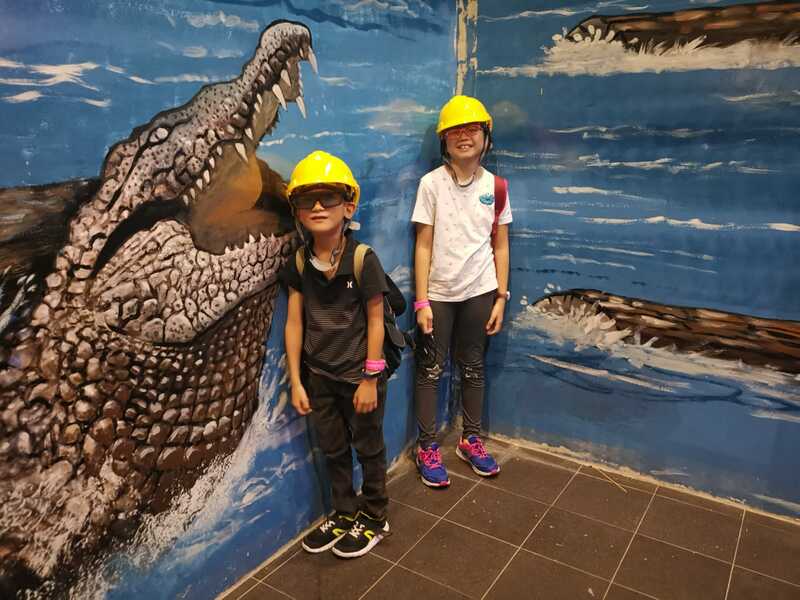 I find the 4D rides a good way to induct young kids to more thrilling adventure rides and roller coasters at theme parks and Asher fell for it. We particularly enjoyed both the Extreme Log Ride and Haunted Mine Ride. These two are virtual roller coasters and offers a thrilling experience comparable to the real deal. Why this works for kids is because they simply have to take off their 4D glasses if things get too scary for them and they can sit out the rest of the ride without fear. Additionally, unlike most attractions, while there is a minimum height requirement of 90 cm for children to be seated alone, toddlers below the height requirement can still enjoy the ride while strapped in on their parents’ laps for the various rides at 4D Adventureland. Related Post: Who is Kansita Rotthong? Is she the 10 million baht bride? Other than the two virtual roller coasters, Journey 2 curates some of the most exciting scenes from the movie and convert them into a 4D viewing experience while Desperados is an interactive 4D game whereby you get to ride on a moving mechanical house while shooting at virtual targets on the screen. motion that make the physical theatre experience incredible when presented on wide screens. Free entry to children below 3 years old. Sentosa Island admission and transport charges apply. Sentosa 4D AdventureLand is located at 51B Imbiah Road, Sentosa, Singapore 099708 (Imbiah Lookout).